One New Aftermarket Replacement Alternator Made to Fit Case International Harvester Models : 766, 966, 1066, 1466, 1468, 4366, 4386, 4568 (w/ DVT800 Engine), 4586 Tech Info. Plug at 12:00 Position. Replaces Part Numbers: 103804A1R, SE501382. 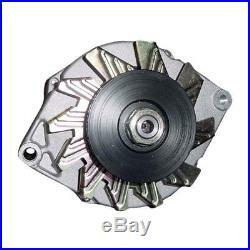 The item “103804A1R Case / International Harvester Alternator 1066 1466 1468 4366 4386 +” is in sale since Thursday, May 31, 2012. This item is in the category “Business & Industrial\Heavy Equipment Parts & Accs\Tractor Parts”. The seller is “reliableaftermarketpartsinc” and is located in Williamston, Michigan. This item can be shipped worldwide.